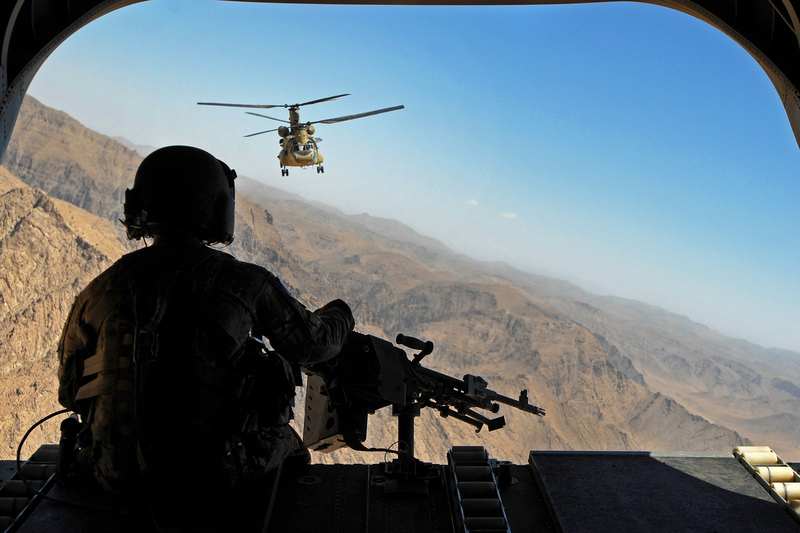 Afghanistan: The War With No End? On January 27, a Taliban-orchestrated suicide bombing in central Kabul killed at least 95 people and wounded another 158. Two days later, an ISIS attack on the Afghan Military Academy in Kabul left 11 Afghan troops dead, with an additional 16 wounded. These attacks concluded a bloody week in Kabul, as an additional 22 people were killed in a Taliban attack in the Intercontinental Hotel on January 22, and 4 more were killed by an ISIS assault on the office of the Save the Children charity on January 24. The devastating violence of the past month projects a bleak image of the future for the US in Afghanistan: after sixteen years of fighting and spending over $1.07 trillion, the Taliban and other terrorist networks are growing stronger. The Islamic State, too, has gained a foothold in Afghanistan, and US-led efforts against the group have been unable to eradicate it from the country . In April 2017, US officials claimed that IS had about 700 fighters operating in Afghanistan. Later that month, the US military dropped the “mother of all bombs” on an ISIS stronghold in Afghanistan. However, IS has claimed responsibility for at least 15 major attacks in Afghanistan since then, and has established a caliphate-like stronghold in the Jawzjan province. While U.S. airstrikes have removed over 1,600 IS fighters in Afghanistan, there is concern that the rate at which the Islamic State is growing exceeds the rate at which the U.S. is able to attack. President Trump has increased troop numbers from 8,500 to approximately 14,000 since taking office. Following the attacks on Kabul, the administration began preparations to deploy up to 1,000 more troops. Trump has also ramped up airstrikes since taking office: from August to December of 2017, 2,000 airstrikes were carried out against Taliban targets. But at the war’s peak in 2010, there were 100,000 troops on the ground. If such a sizeable force could not decisively secure the country, the chances are slim that the new force of 15,000 will be able to turn the tides of war. Instead, the US may need to accept that the original aims of the invasion, primarily replacing the Taliban with a legitimate yet friendly Afghan government and eradicating terrorist networks, are unattainable. This acknowledgment would allow the US to redefine its goals in the country, and thereby rework its policies. So what does the future look like for Afghanistan? US Soldiers, along with the Afghan National Police, and the Afghan National Army’s 203rd Corps. Perhaps the most likely outcome is a perpetual stalemate. As of now, neither the Afghan government nor the Taliban are strong enough to re-establish control. Without significant changes in power and capability, it is unlikely that either side will be able to gain the upperhand and eliminate their opponent completely. While the United States and other third-party states may be able to maintain the current stalemate by continuing to provide troops and aid to the Afghan government, it is unlikely that any foreign actors will develop the tools or a policy that would effectively lead to a military victory. Instead, it is likely that foreign actors will provide just enough financial aid and military support to prop up the current Afghan government and preserve the status quo. A continued stalemate, however, would be costly. Violence and civilian casualties would continue, and given the new wave of terror attacks, likely increase. Foreign actors would continue funneling money and troops into a war with no end. Lastly, the Afghan government would remain incapable of providing basic services, such as security, for its people, which would only further weaken its legitimacy. That being said, the alternatives to the status quo are worse. Withdrawing from Afghanistan altogether would virtually guarantee state collapse. The state would likely splinter, with the Afghan government maintaining control over cities while warlords and the Taliban networks regain leadership in rural areas. This scenario would usher in a period of regional competition, and could ultimately culminate in mass violence or even civil war. Such an outcome would not be new to Afghanistan: after the Soviet-backed Afghan government collapsed in 1992, the country fell into a civil war in which warring factions fought for power and control. This culminated in the Taliban seizing control of the nation in 1996. In this scenario, power and legitimacy is drained from the state and placed in the hands of strongmen. It is possible that local warlords can eventually reinstitute regional stability and begin to bring peace to the war-torn nation. But this would involve the United States accepting groups such as the Taliban and the Islamic State as governing authorities. It would also require all groups currently competing for power to accept the territory and control that they have, rather than seek more, a prospect that seems naively optimistic. The truth is, the United States has no good options for Afghanistan. But maintaining the status quo might be the least bad option.